This post was written with my colleague Amit Kumar. We worked closely together on this exciting new investment. While still very much in its infancy when it comes to development and adoption, a decentralized financial system has the ability to be massively disruptive and important for decades to come. However, in order for cryptocurrency to achieve this potential and for the industry to mature, there is a growing need for foundational infrastructure and regulatory frameworks to drive compliance and transparency between all stakeholders. 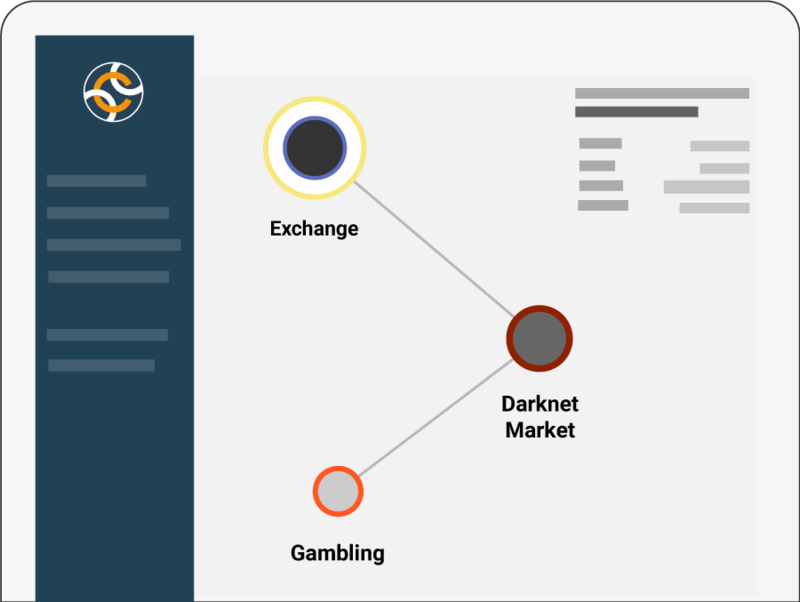 This is why we’re so excited to announce our investment in Chainalysis, a company that uniquely leverages deep analytics and machine learning to help law enforcement agencies track illicit crypto transactions and financial institutions comply with anti-money laundering rules — important pillars towards the inevitable maturation of the cryptocurrency space. 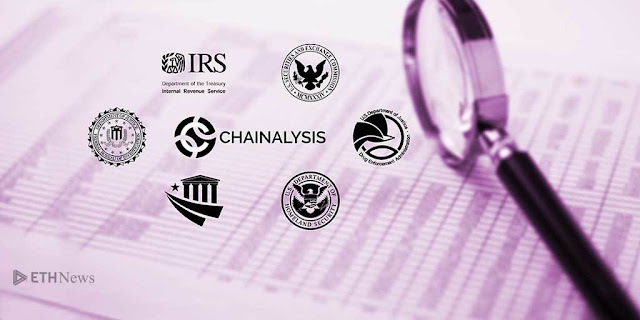 Chainalysis is the clear market leader in their vertical and sits at the nexus between crypto exchanges, financial institutions, regulatory bodies, and law enforcement agencies. They’ve earned this position by their incredible work and track record over the last few years helping law enforcement agencies cope with the rise of this new technology. While there’s been a number of highly publicized examples including their role in helping creditors of Mt. Gox track down hundreds of thousands of Bitcoins to the Dutch police crediting the company with helping them find Hansa, one of the world’s biggest dark web drug marketplaces, to the company’s more recent Crypto Crime Series published earlier this year, much of the work that they do remains behind-the-scenes, but is no less critical. Technology innovation outpacing governments’ and regulatory bodies’ ability to adapt isn’t a new tale; we’ve seen it play out across many different industries in Silicon Valley. And it requires an exceptionally thoughtful, committed team working diligently to close this gap. 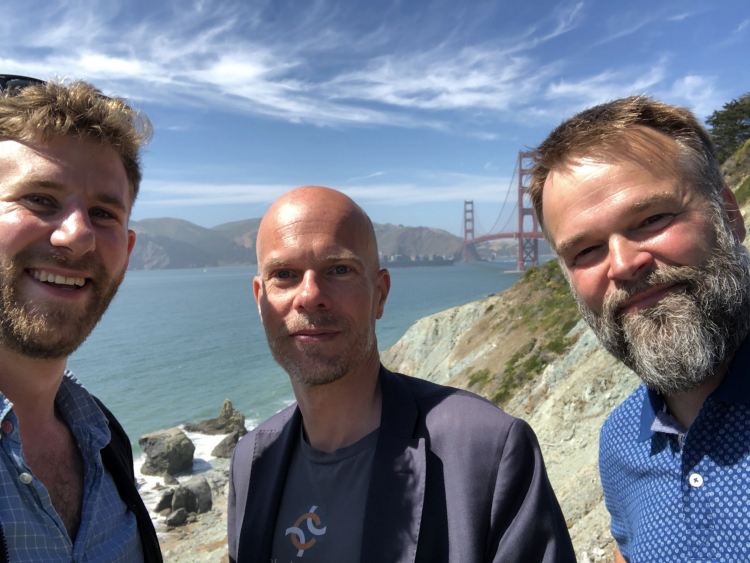 Michael, Jonathan and Jan have done just that and have quietly assembled one of the very best teams in the space across their offices in Copenhagen, London and New York . We believe deeply in Chainalysis’s mission and couldn’t be more thrilled to help accelerate the deeply critical work that they are doing to bring cryptocurrencies closer to mainstream. On July 17, Ultimate Software, a $10B HR software gorilla, announced the acquisition of Peopledoc for $300m - the largest software exit in France since the acquisition of Neolane by Adobe in 2013. Hats off to Jon Benhamou and Clement Buyse, the two founders, and to the wider Peopledoc team for this achievement! In a dark dorm room on the HEC (the French HBS) campus, Jon and Clement were scratching their heads in search of the business idea to present for their entrepreneurship major. They were lucky to have Pierre Kosciusko-Morizet, founder of PriceMinister, and Jean-David Chamboredon, founder of ISAI, as their mentors. The four of them hatched their first idea: creating an online document management system for utility e-bills, which were starting to take off in France. 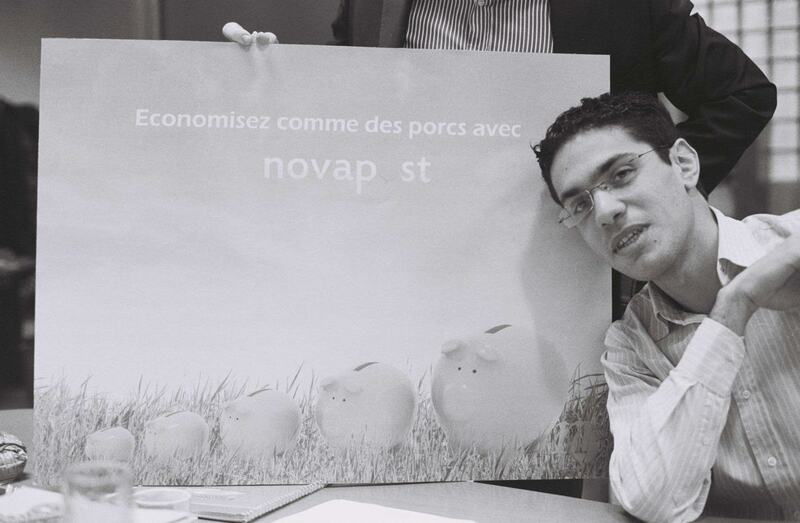 When John and Clement graduated a few months later, and with the angel funding of Pierre and other friends, they started their first company, Novapost. 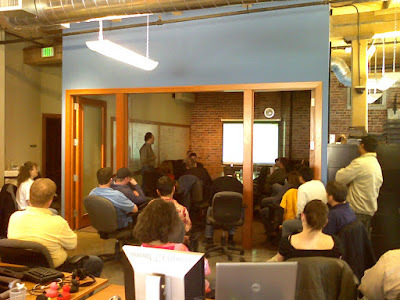 Unfortunately, the level of adoption was not quite what it needed to be and in 2010, the team realised that a new strategy was needed. Given how hard it was to digitize paper for consumers, they decided to focus on the enterprise market. A few brainstorming sessions later, and a new strategy was born. Jon and Clement decided to leverage their online document management platform to digitize payslips, reinventing the company for the first time. In France, the law mandates that companies provide employees with access to their payslips (as proof for retirement benefits) for 50 years, and this requires a layer of security and compliance that legacy document management companies didn’t provide. Team first attempt at marketing Novapost: "Save like pigs"
Lunch was set, and it was a great lunch. I loved Jon’s energy and drive and his exceptional ability to inspire people to share his dreams. As we discussed the potential of the market, I suggested him to expand the product platform to address markets beyond France. French payslips were an interesting market, but somewhat limited in size. 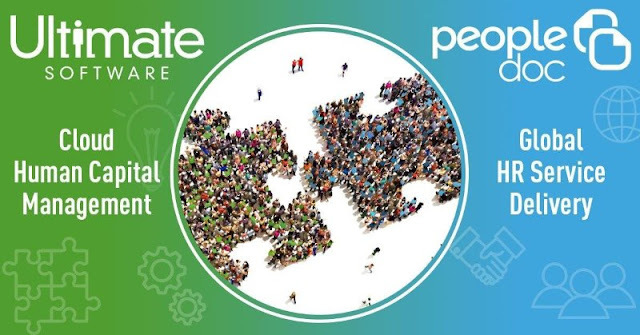 Fast forward to spring 2013, and I caught up with Jon, who told me that they were launching a new product: Peopledoc – a full document management platform for HR. A much bigger market. We discussed the opportunity to go global and start by setting up a beachhead in the US. A month later, Jon let me know that the day after our call, he had gone to the US embassy to apply for a visa and was moving to New York in September. I was impressed by how decisive Jon and Clement had been on such an important decision. So, a few months later, when Jon called, I jumped at the chance to invest, and we closed the $17.5m Series B in May 2014. At the same time, the company rebranded as Peopledoc, understanding that their new product was their biggest asset, for its second reinvention. First, we needed to conquer the US market: get our first references fast and build a strong sales team locally. Second, we needed to shift the company’s product mix from payslips to document management. Payslips were a managed service business, and while 50% of payslips were digital, 50% were still paper. Third, we needed to add new modules to the platform, beyond document management, to create a new HR software category. Shortly after the closing of the round, we brought onboard Mike Dinsdale, the CFO of DocuSign, as an independent board member. From there, the stars continued to align, as we addressed each challenge. Jon and Clement hired several key US execs in sales, marketing and finance, which helped land the first $500k ARR deal with a flagship US financial services firm in 2015. The product mix shifted over time as the company expanded in the US, UK and Germany and finally, the team launched HR case management and digital onboarding. New competitors started to address the market, such as SuccessFactors and ServiceNow, and Gartner recognised the category as “HR Service Delivery”. In the midst of this, Eurazeo led the $28m Series C.
By mid-2018, the team had grown to 240 people in the US, UK, Germany and France, gross margin had skyrocketed to 75%+ and the business was growing 100%+, with a $30m+ run rate. And then Ultimate knocked at the door, which gave us a very hard decision to make. More than 10 years had passed since the first late nights in the university dorm. The business model had evolved three times, and the company went from a Paris based start-up to a global HR category leader headquartered in New York. For Jon and Clement, it was a good time to give new wings to the company and write its next chapter. I feel privileged to have been part of this story and will miss our board meetings. Congrats again Jon and Clement for showing true vision and grit! What an exciting journey. Building Workflows should be easy - and they will be...with Zenaton! Nearly all businesses have process-related workflows that govern how their users interact with their service or automate internal tasks...and they are painful to code and even more painful to test. Hopefully things will change soon with Zenaton, the newest addition to the Accel family. We are joined in this seed round by our friends at Point9. For instance, let’s suppose, in the light of the GDPR legislation a company wants to send a series of emails over a period of a few weeks, reminding people to explicitly opt-in to receive communications, so it can record their consent. Obviously, the emails should stop if consent is given at any point in time. In many cases the implementation will involve database changes, scheduled tasks, and cumbersome logic to tie it all together. What should be a simple workflow ends up creating a mess! There are software applications, or workflow engines, that have been created to manage business processes. So, why does this happen? Because many existing workflow engines are hard to use, and it's easier for a developer to hack something together themselves. After experiencing this issue many times over, the Zenaton team - Louis Cibot and Gilles Barbier - had had enough. They built a workflow service designed to delight developers with a simple and easy to use API. It's just way easier to code a workflow using Zenaton than it is to roll your own, and when it comes to developers, ease of use is incredibly important. As we got to know Zenaton, we spoke with many companies whose teams who were extremely pleased with the simplification in their codebases and the speed with which they could make progress: focusing on their business processes, and not on the intricacies of long-running asynchronous workflow management. You'd have to prize Zenaton out of their cold dead hands before they'd give up on this kind of improvement. With Zenaton, the code looks like the design. The implementation of the workflow is all in one place, with a straightforward mapping to the business process. The Zenaton service orchestrates the workflow for you, invoking the individual flow steps as tasks that run within your own environment. None of that counts for anything of course if the backend workflow engine isn't up to scratch. The Zenaton team have spent a lot of effort on this and have built a robust platform on top of the Erlang Virtual Machine, well known for running distributed and fault-tolerant systems (Erlang is a programming language used to build massively scalable soft real-time systems with high availability requirements). It's all made available as a scalable service so there are no setup costs, and no operational overheads. Zenaton is currently in closed beta and will launch in the coming weeks. It has clients for Node and PHP, with Python, Ruby, and Java in the works. 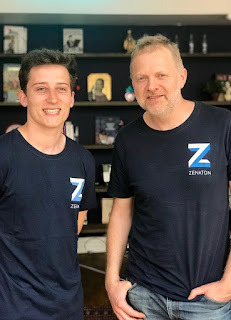 We believe that any developer who wants to spend more time working on business features and less time solving purely technical issues will love Zenaton. We are excited to back Gilles and Louis, as they roll out their platform and put it into the hands of developers around the world. We are big believers in massive growth of dev tools and the API economy and see Zenaton in the continuity of previous Accel investments like Atlassian, Algolia and Segment. Congratulations to the past and present DocuSign team for their incredible achievements, as the company makes its public market debut. What a journey it has been since the genesis of the company in 2003, when it’s visionary team set out to automate the agreement process and solve many pain points from speed to cost and accuracy. In 15 years, DocuSign’s cloud-based platform has made it possible for more than 370,000 companies and hundreds of millions of users to make nearly every agreement, approval process, or transaction digital—from practically any device, virtually anywhere in the world. It’s rare to see any type of technology reach such a range of customers - from very large companies to individual users across all industries. Today, seven of the top 10 global technology companies, 18 of the top 20 global pharmaceutical companies, and 10 of the top 15 global financial services companies are DocuSign customers. More than 700 million transactions have been performed on the platform. And this is just the beginning! When Tom Gonser, Court Lorenzini and Eric Ranft started the company in 2003 out of Seattle in the overhang of the dot.com explosion, the business world was used to the print-sign-fax routine. I’m sure everyone still remembers those moments of anxiety in a random hotel lobby, trying to email a document to the reception desk so they could print it for signature… a frustrating process which could easily take an hour. There had to be a better way to do this and indeed there was: DocuSign was born and suddenly the print-sign-fax routine became as simple as connecting to a Wi-Fi network. One click and the document was securely signed and authenticated. But, you still needed a computer and a Wi-Fi connection to do this. In the company’s early years, the notion of an e-signature first gained traction in the midmarket and in particular in the real estate industry. Real estate brokers quickly realised the value that could be gained from an expedited signature process. With the launch of 3G and the rapid growth of iPhones and iPads in 2007-09, the world realised that paper could be entirely digital, beginning a new era for DocuSign, which had invested early on in “mobilising” its product. Executing a transaction became as simple as a tap on your tablet or smartphone, further fuelling the company’s growth. With large enterprises beginning to adopt the technology, the platform quickly evolved in several dimensions. With the first global enterprise-wide deployments, the team strengthened the scalability, security and certifications of the platform. A lot of people still see e-signature as a simple problem to solve (as easy as a tap on a mobile screen), but this is only the tip of the iceberg. There is a lot more to it to ensure the authentication of the user, the security of the information, and the management of the transaction workflow. Keith Krach, who joined the board of the company in January 2010, was appointed CEO the following year. During his tenure from 2011 to 2017, Keith developed a set of partnerships with most of the relevant leaders involved in software productivity and transactions, including Microsoft, SAP, Salesforce and Comcast. These deals strengthened the footprint of DocuSign, reinforcing the company’s position in the industry. Having the chance to work with the leaders who made this success story happen has been a privilege for us. This stellar team includes Tom Gonser, the co-founder of the company and driving force behind the product and vision; Keith Krach, who I had the chance to know before his involvement with DocuSign; Mike Dinsdale, who I knew from his days at Lithium in 2009, and who became CFO of DocuSign in 2010 (and is now the CFO of Gusto). Mike and I regularly exchanged thoughts on SaaS metrics and strategic transactions in EMEA. And last but not least, Dan Springer, a long-time friend of Accel through our investment in Responsys, who became CEO last year. What a journey – hearing the bell ring this morning brought all of these wonderful memories back. It reminded me that at the end of the day, the journey is the reward. Thank you again to all the members of the DocuSign family! Earlier this fall, we co-organised with Salesforce Ventures the first edition of Cloud Europe, a ½ day event preceding SaaStock 2017 and gathering the founders of the top 100 European SaaS companies. 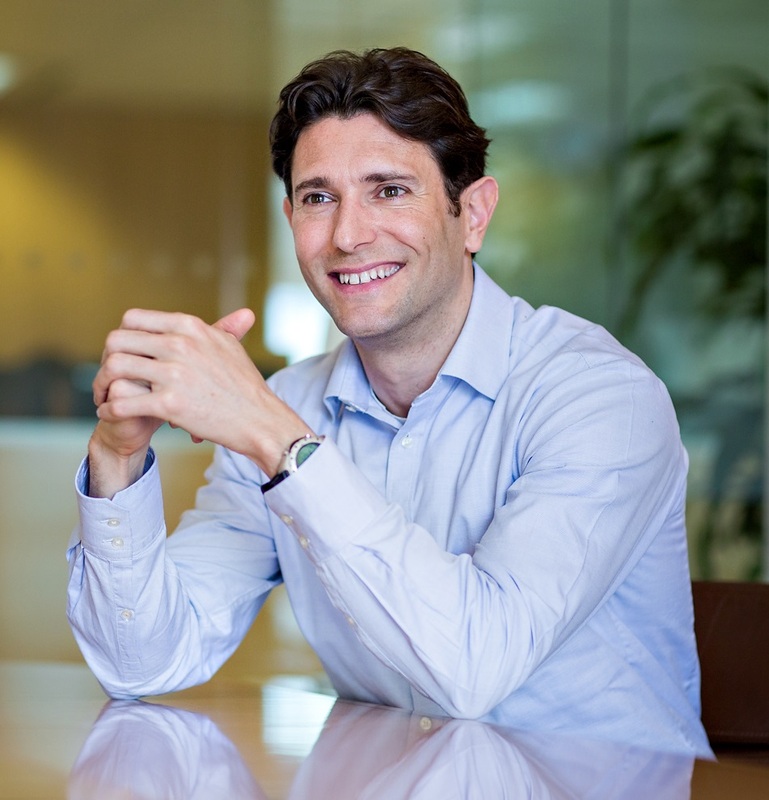 We were lucky to have as a keynote Chris Ciauri, EVP Salesforce EMEA, and he shared a few tips to check that your sales organisation is ready to scale. Here is a quick summary of the key insights with us, which hopefully will help you with your 2018 planning. · Send your new hires pre-work: You want your new hires to have a basic understanding of your product functions and differentiation. Send the sales pitch, product sheets and competitive overview to new hires in advance. It is a good step to get them started on the right foot. · Develop your sales bootcamp: Stack your hiring to make sure a critical mass of new sales people will start on a given Monday and prepare a bootcamp over several days to get them familiar with the company product and teams. It is helpful for example to have them attend support calls, get an overview of the product roapmap from the product team, shadow experienced reps and, of course, learn the tips from the top people on the team. · Prepare a 30-60-90 day achievement plan: The first three months are critical to ramp your reps and it helps to have specific goals each month to measure progress. It also gives them something to aim for, especially in businesses where the first customer close can take time. At the end of his presentation, Chris gave us a final piece of advice: each month counts! Manage your sales and pipeline on a monthly basis (or try to! ), even if you have quarterly closings. Fast cadence is everything in sales! And good luck to close your Q4! Looking closer at the 12 companies, we can conclude that it takes a $100m+ revenue run rate and 30-50% growth to go public in the current environment, even if several companies like Atlassian and Cloudera waited to reach $300M+ revenues before going public. However, the companies’ annualised free cash flow showed a big variation, ranging from -$100M for Box and Cloudera to +$100M for Atlasssian. Out of the 12 IPOs, Mimecast is the only company from Europe. However, as Europe’s SaaS acceleration began in 2013, and given that the median time to IPO from this group is 10 years, it will take time before we see a meaningful geographical change in SaaS IPOs. Like the public market, the private funding environment is still at an all-time high in 2017 with an annualised investment rate of $8.4B in the US, $2.6B in Europe and $0.9B in India. Europe and India are growing particularly quickly, and investment more than doubled from 2015, while the US is up 20%. The pace of SaaS company creation in Europe is growing even faster, up from 200 companies in 2008-10 to 670 in 2014-16. Our investments in the space have followed suit. We’ve invested $2.3B in SaaS companies globally. In 2010, 4% of this funding was going to European SaaS companies, while it’s over 40% this year. With a more mature SaaS market and more late stage companies, the US is posting record late stage funding rounds with Dropbox raising $600M, Slack $200M and Qualtrics $180M in the past 18 months. Funding in Europe is healthy but reflects the market’s earlier stage. The largest rounds include Algolia with $53M, Collibra and Showpad with $50M each and CallSign with $35M. Note: to create the list, we ranked each company by a set of criteria including market attractiveness, level of technology differentiation, strength of the team and initial traction (monthly recurring revenues and growth in number of employees). Nothing is perfect, and we might have missed some great companies. Your feedback is welcome! Overall, these 100 companies illustrate how the European market is maturing. They have raised $3.4B in total, of which $1.8B or 53% was in the last two years alone. Close to 60% of them have raised more than $15M, and 22% have raised more than $50M, including Algolia, Collibra, Doctolib, Qubit and Showpad. From a revenue standpoint, 58 companies have already crossed the $5M per year mark and 29 are $15M+. From a geographic standpoint, the UK and Israel lead the pack with 20 companies each, followed by France with 18 and Germany with 8. The remaining companies are fragmented across Europe, showing that great SaaS companies can emerge from any city on the continent. From a funding perspective, Israeli companies have raised on average more than their British (-48%) and French (-160%) counterparts at similar stages. Europe is showing strength in data/ analytics and security, driven by the booming ecosystem in Israel but is less represented in developer/infrastructure and vertical applications. The EU/US funding gap still exists, especially at the seed stage ($1-2M raised on average in Europe vs. $5M in the US) and series B ($20M raised on average in Europe vs. $37M in the US). In terms of funding efficiency, leading European companies appear to be more efficient than their US counterparts. We looked at capital required to reach $10M Annual Recurring Revenue and saw that European companies required $7-15M to get there while US companies required $15-20m. In addition, fast-growing US and European companies are reaching $10M in revenue in similar time periods. Whether Algolia or Twilio and Duetto or Doctolib, they took 1-2 years. AI and Automation-driven productivity: The next generation of AI-driven technologies to improve backend processes is now coming of age, and is seeing fast adoption from Fortune 500 companies redesigning their processes. Large System Integrators are developing dedicated practices to drive this change. Promising companies in this segment include Robotic Process Automation vendor UI Path and process mining software startup Celonis. The rise of the SMB engine: The past few years have demonstrated that companies focusing on the SMB segment can become very valuable businesses – both as public companies, with Shopify reaching $10B market cap and Xero, Wix and Hubspot in the $2-3B range, or through M&A, with Netsuite acquired for $9.3B, Constant Contact for $1.1B and Intacct for $0.85B. APIs and Microservices-driven infrastructure: Given the increasing need for agility and scalability, micro-services and APIs are taking over infrastructure, and we can expect more companies to emerge in this area, providing API-driven functionality (like hosted search engine API Algolia) or helping to manage this next generation of infrastructure (like Application Performance Management solution Instana). Vertical applications: With the SaaS market in Europe maturing, we expect to see this category develop, and a new generation of services driven by mobile and AI to emerge, such as Shift Technology in insurance, Doctolib in health, Mambo in finance and Mirakl in retail. Compliance and security: With cyber threats on the rise, the need for security and compliance platforms has never been so acute. One of the challenges businesses face is how to enforce security without complicating the ease of use to the point that it becomes a hindrance to productivity. One pioneer is CallSign, which has developed an adaptive authentication platform, getting rid of passwords. Nominations are now open for the 2017 edition of Accel SaaS 100 Europe, the list of the top 100 leading SaaS companies emerging from Europe & Israel. Last year, after many months of research, we published alongside our Article “SaaS Wars: Europe awakens” the first list of 100 leading SaaS companies from Europe & Israel, in conjunction with SaaStock 2016, the first large scale SaaS event taking place in Europe. In front of the enthusiasm raised by the post and the conference, we have decided to renew the initiative this year and update our Top 100 for 2017. We will even go further and invite the founders of the Top 100 companies to a unique half-day event organised by Accel in partnership with SaaStock 2017, on Monday September 18th, right before the start of the conference. This past year’s winners have raised a combined $2.5 billion to redefine industries on a global scale. They include Trustpilot, Intercom, Doctolib, Showpad, Zerto, Algolia, Qubit and Typeform among others. To compile last year’s list, we screened more than 1,000 companies across 12 countries in Europe, met hundreds of them, and spoke with dozens of entrepreneurs & investors from the SaaS ecosystem. Nobody is perfect - we know we might have missed some amazing companies, so this year we are opening up the entry. 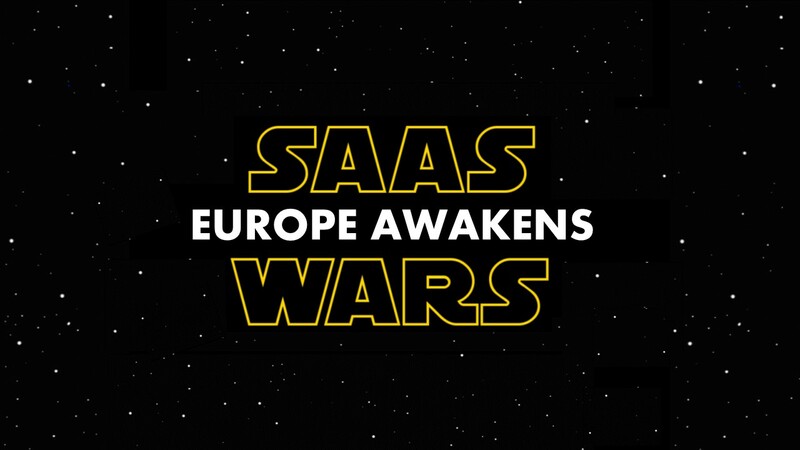 Do you think you are ready to join the ranks of Europe & Israel’s most promising SaaS Leaders? If so, it is easy to apply, just fill the official nomination form here. Feel free to also refer any other company you think should be on this list. After you submit your nomination, use the hashtag #AccelSaaS100 and tell the world why we should pay close attention to your nominee. The nomination submission deadline is June 15th 2017 and we will announce the final list on September 18th. Stay tuned as we release more information and we look forward to hosting the companies shaping the future of SaaS in Dublin in September! As an investor, I’ve sat on both sides of the table in more than a dozen acqui-hire situations. Companies that successfullyleverage acqui-hires can save years of work and gain a competitive advantage by adding skilled technical and operational talent, deep local market knowledge and an accelerated time-to-market. 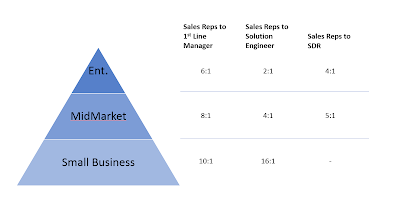 However, not all acqui-hires are created equal, but there are numerous pre-deal considerations to ensure post-deal success. Here are eight tips I’ve learned from the trenches. Size matters. The larger the size differential between the two companies, the easier the acqui-hire will be. It’s more difficult when companies are of relative equal size, and the main variant is one company’s cash on-hand. The smaller the size difference, the more conflicts emerge around products, leadership, best practices, etc. You must agree to an incentive structure that motivates the founders and key executives within the company you acquire. This is paramount to make sure they remain invested in the success of the company at large. An acqui-hire is not a cash-out event. Use equity and options to incentivize and reward these new team members. Determine the amount relative to the value of the businesses – prioritize options over equity as motivation to stay. 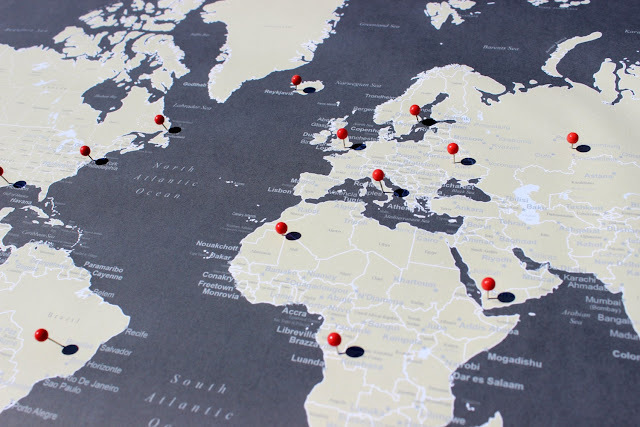 Growth within a country is linked to the amount invested in the region, which the acqui-hired team does not control and may change over time. Team roles will evolve, including those from the acqui-hire. You will have to renegotiate incentives if and when roles evolve in tandem with the company’s growth. Understand tax liabilities. There are two common acquisition structures: option-A) asset purchase: the preferable option where the acquiring company buys only the assets; option-B) company purchase: acquiring company buys both the assets and liabilities. Option-A is usually faster and safer, as you will not take on any hidden liability, which may arise in the future. However, it can trigger tax liabilities for the founders/investors of the acquired company. If you must take option-B, conduct thorough legal due diligence to avoid future liability surprises. Acquiring a company with a complex equity structure (i.e. many angel investors) can lead to a large administrative burden that slows decision-making. Offer angels cash or options, which can be only exercised at expiration (typically 10 years) or an exit. This way they benefit from the full economic value, but are not shareholders. If this is not possible, you can group them into a Special Purchase Vehicle (SPV) with only one signatory. Account for these factors, but understand that every company and situation is different. The founders and executives from both parties must be diligent and transparent, and leave nothing to question. 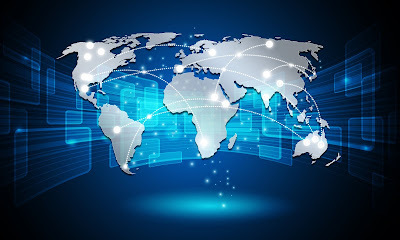 I hope these learnings will influence your thinking in your quest to go global, and as always, share your thoughts, feedback and questions with me here or on Twitter (@pbotteri). Software is eating the world, and Software-as-a-Service (SaaS) is eating software. Global SaaS revenues are expected to grow by $19 billion in 2016, an increase of 22% from 2015, while traditional software revenues are shrinking by $10B. Two dollars in SaaS revenues are created for every $1 of software revenues eaten – an impressive stat, but where does Europe stand on the global SaaS map? When I was in Silicon Valley, I spent most of my time investing in SaaS companies. When I moved back to Europe in 2011, I had to reduce my activity significantly in this area, as there was not enough going on. 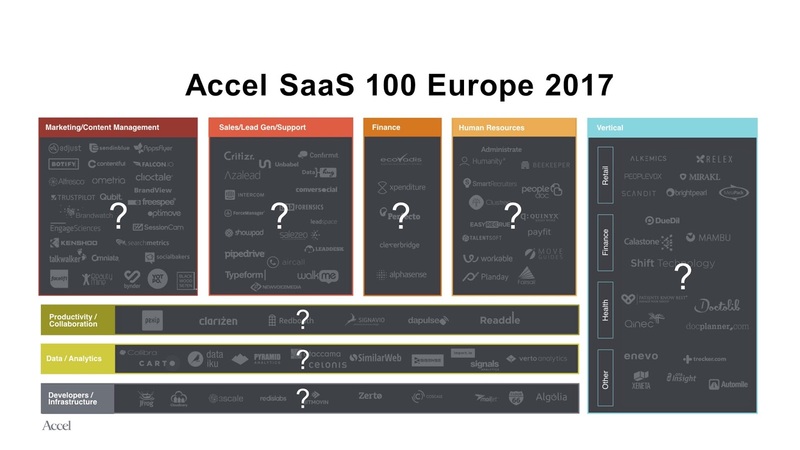 Five years later, the picture has changed drastically: five of Accel’s 10 most recent investments in Europe have been SaaS companies. SaaS in Europe is exploding in terms of both quantity and quality. Our analysis estimates that the number of SaaS companies created has grown 4x between 2007-09 and 2013-15, and the amount raised by European SaaS companies has more than doubled. As it takes around 10 years for a SaaS company to reach maturity, the explosion we are seeing at the early stage has not yet translated into a significant number of exits. To date, there have been only four major European SaaS exits (all IPOs), including QlikTech in 2010, Wix in 2013, Zendesk in 2014 and Mimecast in 2015. The combined market cap of these companies today is around $9B. By comparison, the US has seen around 60 SaaS IPOs with a combined market cap of close to $140B ($50B of this is Salesforce). These 100 companies have raised a combined $2.5B and 85% of the $900M that went into European SaaS companies in 2015 alone. Twenty-eight of them have raised more than $30 million in total, while Trustpilot, Intercom, NewVoiceMedia and Zerto have raised above $100M. This concentration of capital in a limited number of champions will hopefully pave the way for a good number of IPOs in the coming years. From a geographic standpoint, the top three regions for SaaS companies are the UK, France and Israel, with around 20 logos each in our top 100. Perhaps surprisingly, despite all the hype, Germany only has eight companies on the list. Across the rest of Europe, SaaS is still very fragmented, but every single country, big or small, has the potential to generate a champion. Take Denmark, where the passion of Peter Holten Mühlmann has made Trustpilot the online standard for customer experiences. Marketing is the leading SaaS industry in Europe – 22% of the companies vs. 13% in the US. It’s interesting to see Europe overweight in this area, and the reason may be that several marketing start-ups in various European countries are going after the same problem – A/B testing is a good example. This creates small country leaders rather than global businesses and leads to a very fragmented market. Europe is underrepresented in vertical SaaS solutions – 17% of the companies vs. 23% in the US. Vertical solutions are typically a sign of a more mature ecosystem. 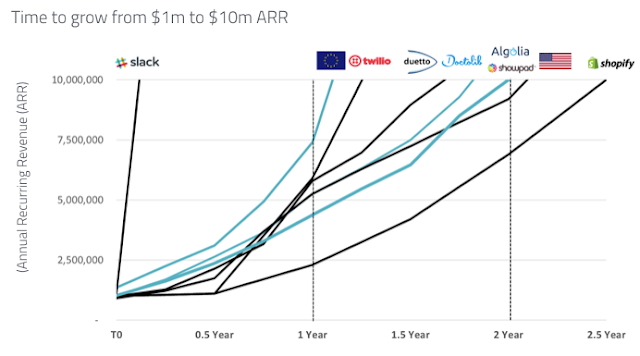 In Europe, a range of vertical SaaS companies is beginning to emerge, and it's likely to catch-up in the future. From a funding standpoint, European SaaS companies have raised on average 30-40% less capital than their US counterpart at a comparable stage. Even with the difference in cost base (engineers in Europe are cheaper than in the Valley), the funding gap has not been closed yet, and European companies have less firepower than their US counterparts on average. That said, with 28% having raised more than $30M and a handful more than $100M, the funding they have received is enough to help them reach significant scale. 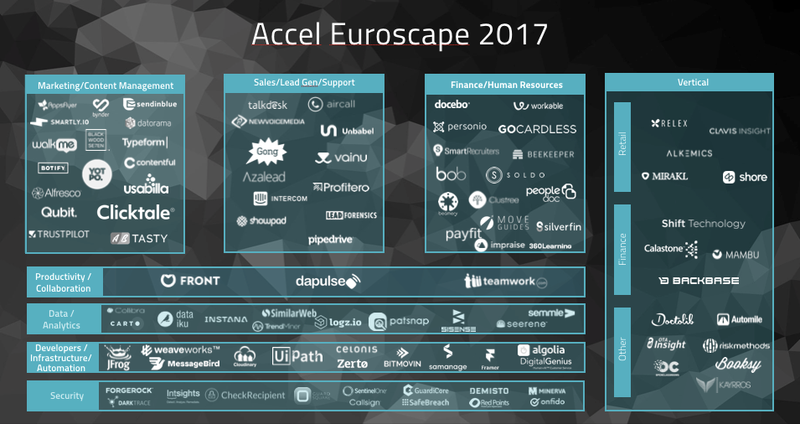 Taking a step back from the categories on this map, two main types of European and Israeli SaaS champions emerge. The first is the B2B global platform play, such as Algolia, the search-as-a-service API Nicolas Dessaigne and Julien Lemoine have built out of Paris. Like other technology infrastructure businesses, search is a truly global opportunity, and these companies need to bring their fight to the US early, as its size makes it the most strategic market. For example, half of Algolia’s initial customers where from the US. While breaking into the US can be a challenge, Europe has the engineering talent to build world-class companies. Take Intercom as an example; the combined design and technology skills of Des Traynor and Ciaran Lee have allowed it to shine in the very competitive field of customer communication. 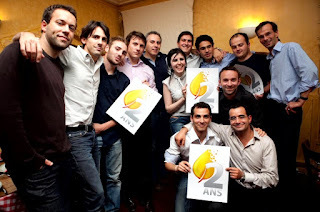 The second type of company is the local SaaS champion with a solution connecting businesses to consumers. The consumer marketplace creates a winner-takes-all dynamic, which opens the door to grabbing massive market share. For example, two software companies are emerging in Europe for doctor booking management, Doctolib and DocPlanner. Looking back at the growth of SaaS ecosystem in Europe over the past five years, I am very excited about what will happen in the next five. A number of companies in our EuroScape have the breakout potential to be tomorrow’s global leaders and put Europe firmly on the Global SaaS map. But, the story does not stop there. If SaaS is eating software, Artificial Intelligence is starting to eat SaaS. It’s early days, but legacy SaaS applications will be disrupted by a new generation integrating Artificial Intelligence and machine learning technologies. A good example is Shift Technology, which is applying AI to fraud detection in insurance. Founder Jeremy Jawish gave me a striking example of the power of its AI engine: would you think that someone filing a claim for a car accident the day after subscribing to a policy is a fraudster? In most cases this would be true, but not if the driver just got their license. No insurance claim investigator could figure this out, but Shift’s AI engine did. Tech Investments: is Paris ahead of London? Most startups fail at getting a new country off the ground. This is why Unicorns are such a rare breed. Fortunately, a happy few have succeeded at finding this magic formula, like the team at Blablacar and turned it into a competitive weapon. One of their secret: acqui- hiring. This is my second post on international expansion. If you wonder how to pick your next launch country first, see my earlier post here. One of the most important decisions any company of any size will make is how it will successfully launch operations in a new country (the following applies to launching in new cities or states within an existing country). For early stage companies, the stakes are even higher, and finding a great country manager is the single most important element of a successful launch. The most common solution is not necessarily the easiest, where companies hire a manager with expertise or a network in the chosen country, and enable him or her to hire a team of two or three people as support to get started. However, an experienced leader is extremely difficult to find and the risk of failure is high. Alternatively, companies will “spin-off” an existing core team member to lead the launch. While this is a good option, it can be difficult to implement because this person must meet important criteria like language fluency, geographic familiarity and more. Fortunately, there is another, proven strategy, which I will expand on here – the acqui-hire. The best example of launching and expanding in new countries via acqui-hire can be found in Paris-based BlaBlaCar, Europe's top ride-sharing company with 16 offices worldwide. As, I was about to lead Accel’s first investment in the company, I began building a list of all the start-ups operating in a similar or adjacent space. Among them was a small company of two people in Italy called PostoInAuto (at the time, BlaBlaCar had only launched in France and Spain). PostoInAuto’s founder, Olivier Bremer, was terribly talented, but his business was not at a point where he could raise a significant investment. 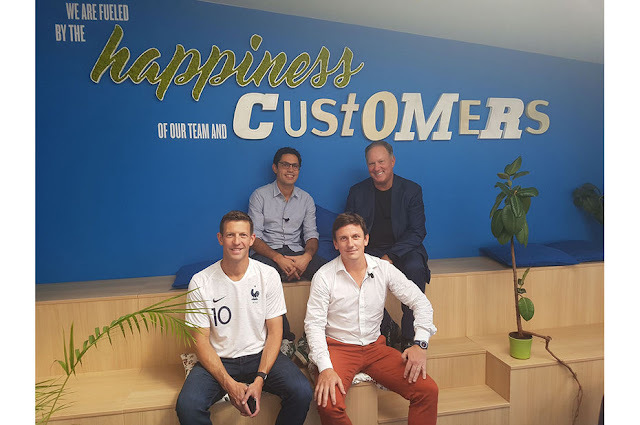 As our investment in Bablacar was ready to close, I again reached out to Olivier to gauge his interest in joining the BlaBlaCar team – strong leadership, significant funding and the opportunity to retain total freedom to build the service in Italy. He was intrigued, so I connected him to BlaBlaCar’s founders who convinced him to join the adventure shortly after. Within four months, Olivier re-launched his service under the BlaBlaCar brand in Italy, and today BlaBlaCar is the dominant service in the country. Olivier went on to lead the company’s launch in Germany given his dual German/Italian background, and currently leads the business in both countries. 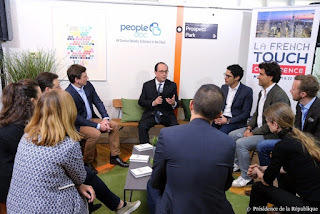 Learning from the success of this initiative, I introduced the BlaBlaCar team to companies in Poland and Russia, which have also been very successful acqui-hires. If successfully executed, combining resources from an acqui-hire will save years of work while broadening the technical and talent bench. But, this is a highly emotional process for the acqui-hired team. Therefore, it is very important to set the right rationale and motivation to ease the process. Like any relationship, the responsibility for success is shared. The acquiring company must find a team with the skills and passion to accelerate growth exponentially. Since its acqui-hire of PostoInAuto, BlaBlaCar developed a team that scouts potential acqui-hire opportunities across the globe. While it’s not possible to find strong acquisitions opportunities in every country (the launches in India and Turkey have been organic), it remains a key element of its fast global rollout. The interesting element of the acqui-hire strategy is that it does not require a lot of upfront cash to implement relative to the resulting growth (assuming proper diligence ahead of time). “We acquired three companies in short amount of time and each time I re-used the same term sheet template. Most of the consideration for these deals was equity and options, so cash is not a requirement. To be successful, you need to have the right skills and having someone in the core team with M&A or venture background helps a lot,” said Nicolas Brusson, BlaBlaCar co-founder. Today, more than 50% of BlaBlaCar new members are coming from acqui-hires – an impressive ratio proving the effectiveness of the approach. While this is one example of many across our portfolio and beyond, the acqui-hire strategy remains consistent and taps into a set of best practices, regardless of country: find great talent, maintain great culture and clearly communicate strong values across each local teams. I hope the answer will be "Stay" - currently the betting odds are 1:5 for "Stay" and 10:3 for "Out", so the odds are clearly in the "Stay" camp. But who knows? The interesting part about this vote is that voters will not have a clear picture of what a Brexit actually means, since the post-Brexit UK/EU relationship will have to be negotiated after the referendum. If the "Out" vote succeeds, it will trigger a 2-year notice period during which the negotiations will take place. I worked with my colleague James Cameron to look at the potential outcomes and in particular how it would impact start-ups in the UK and Europe and we put together this short post. All are interrelated and there will be trade-offs between all three. Out of EU, but still in EEA (e.g. like Norway, Iceland). Preserves access to the EU single market for most trading sectors, but most EU-derived laws remain in place. Free movement still applies. Out of EEA, but the UK would negotiate access to the single market, sector by sector. Example - Switzerland has 129 different bilateral trade accords with the EU, but must accept free movement of people and still pays fees to the EU. Outside EEA, but with a negotiated customs union. In Turkey’s case, it doesn’t pay fees to the EU and there is no freedom of movement. Simply rely on WTO rules for access to the EU market. The situation would be very similar to what we have now, but the UK would have reduced power to influence the rules that would apply domestically. This solution may appease ‘Out’ voters’ desire for more sovereignty - but is arguably an unattractive result for both sides. This model could give UK more latitude to negotiate preferred deals in certain areas. However, the EU think the current situation with Switzerland is unsustainable, and many commentators think it’s unlikely they will accept a similar deal for the UK. The Turkish customs union covers only goods, not services or finance, so a similar deal for the UK would deny the UK access to a big part of the single market. This is a fallback option would give the UK more sovereignty at the price of less trade and a potentially big fall in income. A fifth option that is advocated by ‘Out’ proponents is to negotiate a special deal for Britain alone that retains full access to the single market without observing all the EU’s rules (including freedom of movement) or contributing heavily to its budget (i.e. a form of ‘EEA lite’). Whether the UK will be able to negotiate such a deal comes down to the relative bargaining power of the two parties. The Leave camp believes that UK will be in strong position since it is the 5th biggest economy in the world. However, the Remain camp notes that it is the relative size of the market that matters most - the EU is half of Britain’s export market, whereas Britain would be only 10% of the EU’s. Ultimately, in a post-Brexit with a potentially hostile EU, we can expect that it will be extremely hard to secure as favourable a trading relationship as the UK enjoys at present, especially if it insists on curbing free movement of people. Skilled labour migration: This is probably the biggest single concern for the UK tech scene. Restricting free movement will need to be negotiated if the UK wants to keep favourable trading terms post Brexit, but given immigration control is central to the Out campaign, we should expect the UK to push for at least some restrictions on free movement. Many in the Out campaign want to design a system that will favour immigration from skilled migrants regardless of origin (the ‘Australian model’). This may be workable in the longer term, but at least in the short-to-medium term we should expect a Brexit to trigger a sharp drop in the number of available skilled immigrants from the EU, which would be highly detrimental to the UK tech ecosystem. Existing immigrants: Any EU nationals that are already in the UK pursuant to the existing arrangements should be unaffected. Under the Vienna Convention on the Law of Treaties they cannot be removed from the UK unless the countries agree otherwise – which is unlikely. Financial services: Unless UK remains in the EEA (i.e. the Norwegian option), the European passporting rules for financial services will no longer apply to UK firms after Brexit. This will impact any UK companies operating regulated financial services in Europe or vice-versa. EU R&D funding: UK is the second largest recipient of EU research and innovation funding (expecting £2bn in the next 2 years – roughly 20% of the total science budget allocated by the UK gov). Most has gone to university R&D programmes, but at least 15% typically goes to startups/SMEs. This funding will likely no longer be available after a Brexit. Data privacy: On a Brexit, the EC must decide whether to designate the UK as a 'safe third country' for data. If it didn’t, personal data transfers to the UK could be restricted – similar to the US. No Digital Single Market: A Brexit will most likely mean that the UK firms are excluded from the proposed digital single market – a basket of regulations that expect to be implemented between now and 2018 to streamline EU copyright applications, streamline VAT payments for digital goods, harmonise ecommerce rules and abolish EU roaming charges, amongst other things. Currency impact: The pound will almost certainly continue to suffer a sharp sell off in the wake of a Brexit vote – which will benefit any UK based startups that sell globally, at least in the short term. Similar to Norway or Switzerland - the UK maintains deep and wide trade relations with the EU after leaving the bloc, but continues with many of the laws and regulations that are currently part of EU law (inc. free movement). UK negotiates more favourable trade terms with the EU and is able to quickly put in place favourable terms with other key countries. At the same time, the UK gets more control over immigration and finds an immigration solution that does not restrict flow of skilled labour. Drawn out negotiations, with UK eventually trading controls over immigration for much weaker access to the single market. At the same time, UK finds it difficult to sign beneficial trade deals with other countries. The impact on the broader economy over the long term may be neutral, but we will likely still see a period of volatility and low investment with the risk of a run on the pound. Sovereignty will be re-established, but in practice UK will be subject to regulation without representation. Most commentators discount the likelihood of this scenario heavily – it will be very difficult to secure as beneficial trading relationship outside the EU as it enjoys at present, especially if it insists on curbing free movement of people. Britain receives less inward foreign direct investment, fewer skilled immigrants, and does not improve the regulation of the economy. The tech ecosystem is disproportionately impacted by the reduction in skilled immigration. In one of the most comprehensive polls of experts done so far (an FT poll of >100 economists in Jan 2016), >75% thought Brexit would adversely affect the UK’s medium-term economic prospects, only 8% thought Britain’s economy would benefit. 30 more days before we know...let's hope the "Stay" will prevail!